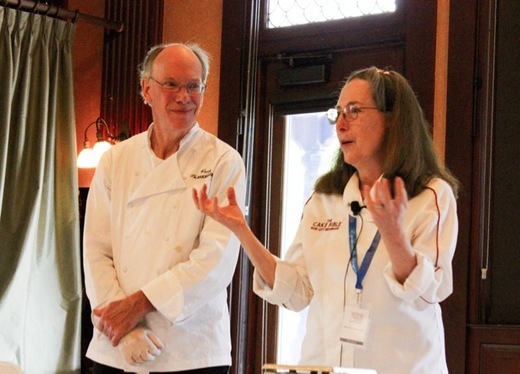 Jim Smith Photography Last November, when we were at the Blue Cashew Kitchen Pharmacy for a book signing, we met the chief organizer, Sam Ramic, of the Wine & Food Festival of New Paltz, held at the Mohonk Mountain House. 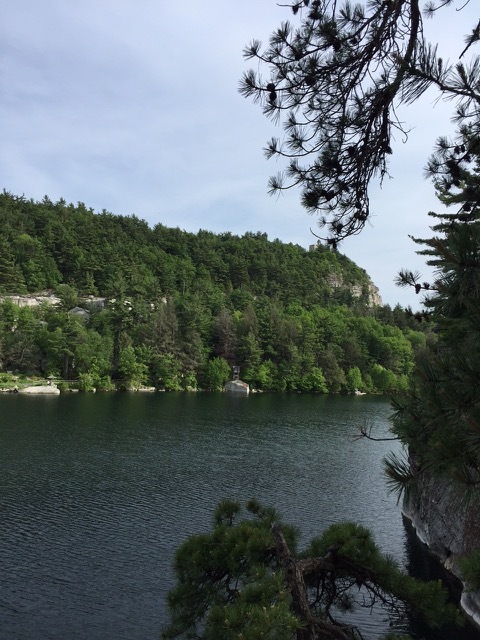 It was over 30 years since I had participated in the chocolate festival at Mohonk and remembered what a magical place it is. So we were delighted when Sam invited us, for the second annual event, to do demonstrations and book signings as part of the program's festivities. 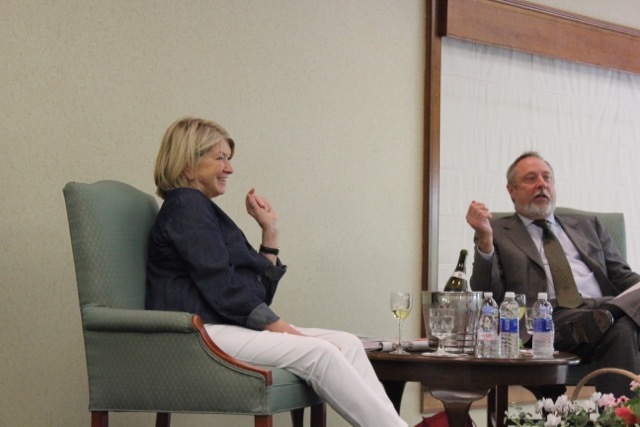 Along with several wine experts giving lectures, Sara Moulton was also a culinary presenter and Martha Stewart was scheduled to give an interview. For our demonstrations, we decided to make one of our top favorites from The Baking Bible: the Praline Meringue Ice Cream Sandwich Cookie." Woody made the Pepparkakors to bring as a special extra treat for the audience. 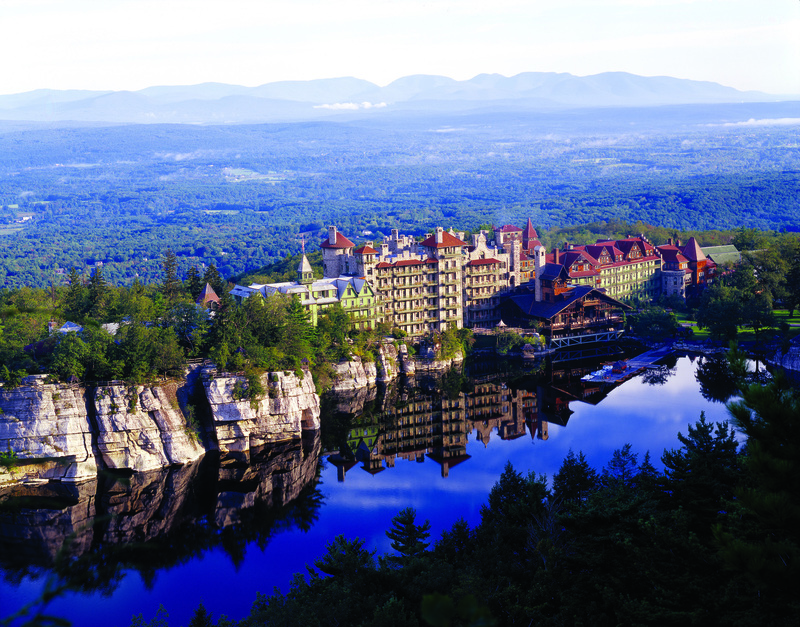 Mohonk Mountain House can best be described as a Victorian castle nestled in the mountains besides Lake Mohonk. The property is landscaped with woods, trails, meadows, and extensive gardens--in other words--a walk back in time to a European hotel resort. Eagle Walk Trail We arrived Friday to meet with the pastry chef Sarah and her team and to attend a get-together of presenters and organizers. It was so special to see Sara Moulton and her husband Bill as I had first met them at the Mohonk Chocolate festival all those years ago. Woody especially enjoyed talking to Bill about music and stereo equipment as he has been majorly instrumental as a producer for hip hop and rap. I have rubbed shoulders over the years with Kevin Zraly, founder of Windows on the World's Wine School, but this was the first time we really had a chance to talk and get to know each other. I adored meeting his significant other, Susannah Applelbaum, who turned out to be a rare kindred spirit. I was so pleased when she offered me her first in a series of fantasy books for children, "The Poisons of Caux vol.1". I know this will be a lasting friendship. Before our Saturday demo, we attended Martha Stewart's interview, with Kevin Zraly as her eloquent interviewer. I've been on Martha's radio and tv shows and have known her for years but this was the first time I actually heard her speak in person to a group and found her utterly charming as did the rest of the audience. 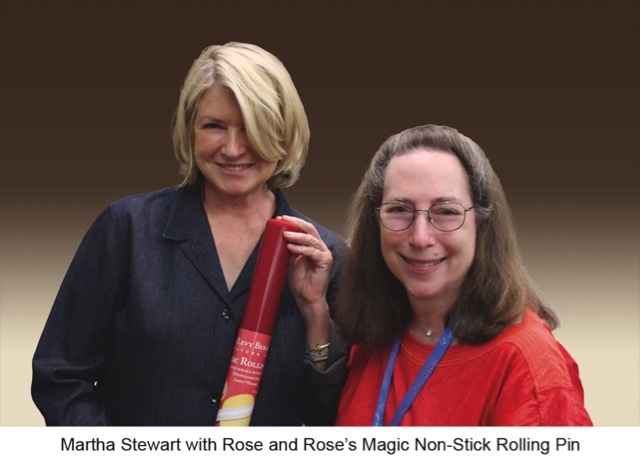 After the interview, we presented her with my new Synglas rolling pin, Fast Tracks rolling guides, and doughmat from American Products Group. 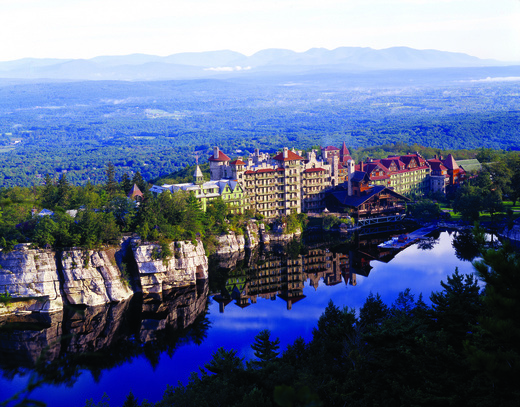 Our demo was presented on one of Mohonk's covered porches. Despite winds and threatening rain showers, people enjoyed the demo and the cookies. The pepparkackers tasted great but due to the high humidity they resembled Salvador Dali clocks! Amazingly, the meringue cookies held up well but that was because they were frozen into submission as ice cream sandwiches. Afterwards, we signed books in the gift shop. We then rushed over to hear Kevin Zraly's lecture on Italian wines and got some great tips on how to judge wine. Sunday's demo was a repeat of Saturday's, with the added comfort of being inside, away from the weather. Afterwards, we sat in on Michael Weiss's lecture on wine pairings. Michael is another favorite person I've bumped into for years as he is a professor of wine at the Culinary Institute of America at Hyde Park. We were also charmed by his wife Jennifer Axinn-Weiss. I discovered that her family hailed from the same town in Russia two centuries ago as mine. Our top favorite wine discovery of the event was one from Michael's event: The Grgich 1022 zinfandel and we lost no time in ordering a case for each of us on our return home. If we are invited back next year we will have no trouble deciding on our answer!